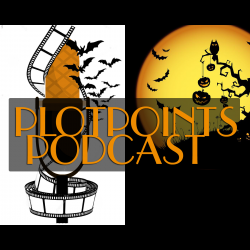 Our Halloween Ep – sorta spooky, no? 00:00:41 Introduction of guests Victor Phan, Larry Porricelli and Talia Creature. Hey! Don’t forget to register for OC Screenwriters upcoming event on November 11th! Learn how to go viral! 00:04:00 Sequelitis in Hollywood? True or overblown? 00:10:20 What are we watching? What does it take to make a good horror film? Can you put famous people in your scripts? Is it okay to write scenes out of sequence? 00:50:00 FOCUS – The inner logic and surprising philosophy of the SAW movies. Søren Kierkegaard – for reals? MANIPULATE, Y’all! That’s the secret sauce.